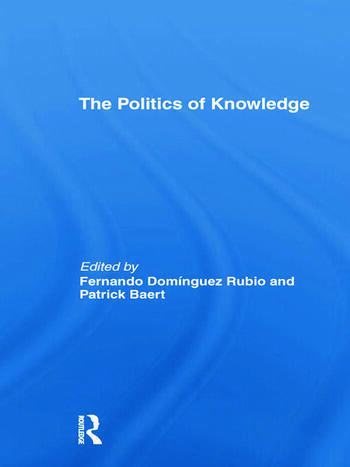 Patrick Baert is Reader in Social Theory at the University of Cambridge, and also Fellow and Director of Studies at Selwyn College, Cambridge. His publications include Social Theory in the Twentieth Century and Beyond (with F. Carreira da Silva, 2010), and Conflict, Citizenship and Civil Society (with S.Koniordos, G.Procacci and C.Ruzza, 2010). Fernando Domínguez Rubio is a Postdoctoral Marie Curie Fellow at New York University and the Centre for Research on Socio-Cultural Change at the Open University.